As the former Executive Director and Co-founder of Architecture for Humanity, Cameron Sinclair is not only an architect, but an author, humanitarian and world-class visionary. During his studies at the University of Westminster and at the Bartlett School of Architecture, Cameron developed a passion in social, cultural and humanitarian design. His resulting postgraduate thesis focused on providing shelter to New York’s homeless through sustainable, transitional housing. Collaborating with Kate Stohr, they co-founded Architecture for Humanity, a nonprofit that helps architects apply their design skills to humanitarian efforts. Starting with just $700 and a simple web site in 1999, AFH has grown into an international hub for humanitarian design, offering innovative design solutions to humanitarian crises and communities in need in all corners of the globe. For nine years, Architecture for Humanity has made a difference by working in twenty-six countries on projects ranging from school, health clinics, affordable housing and long term sustainable reconstruction. AFH’s work has included building clinics in Sub-Saharan Africa, community centers in South East Asia and the rebuilding effort after Hurricane Katrina and the 2004 South Asia Tsunami. In 2004, Fortune Magazine named Cameron Sinclair was named as one of the Aspen Seven, seven people changing the world for the better. 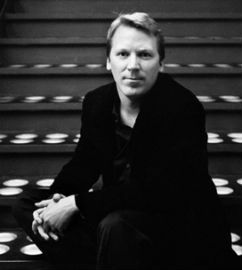 He was the recipient of the 2006 TED prize and the 2005 RISD/Target Emerging Designer of the Year. In 2008 he was selected as a Young Global Leader by the World Economic Forum, and awarded the Cooper-Hewitt National Design Award for his work in elevating design in areas of need. That same year he was profiled alongside Cameron Diaz in the show ICONOCLASTS on the Sundance Channel and was named as one of CNNs’ Principal Voices. Sinclair currently resides in the San Francisco Bay Area.